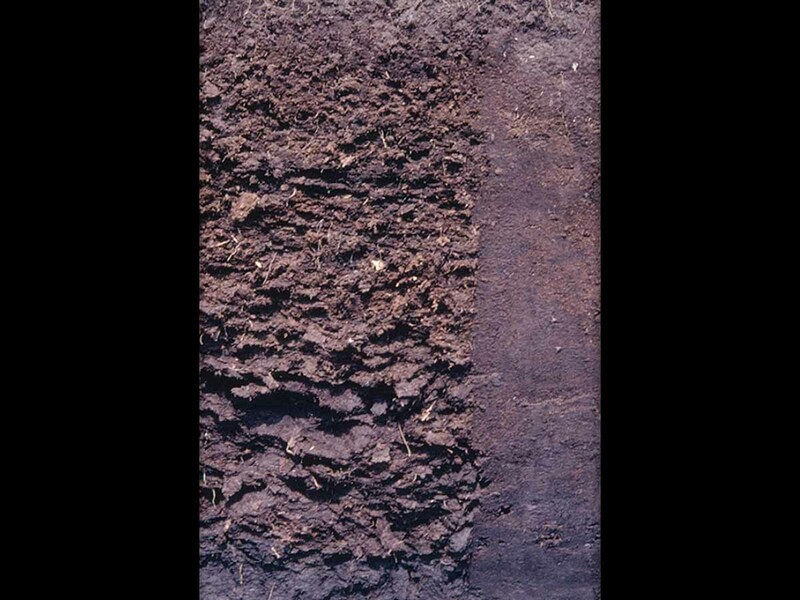 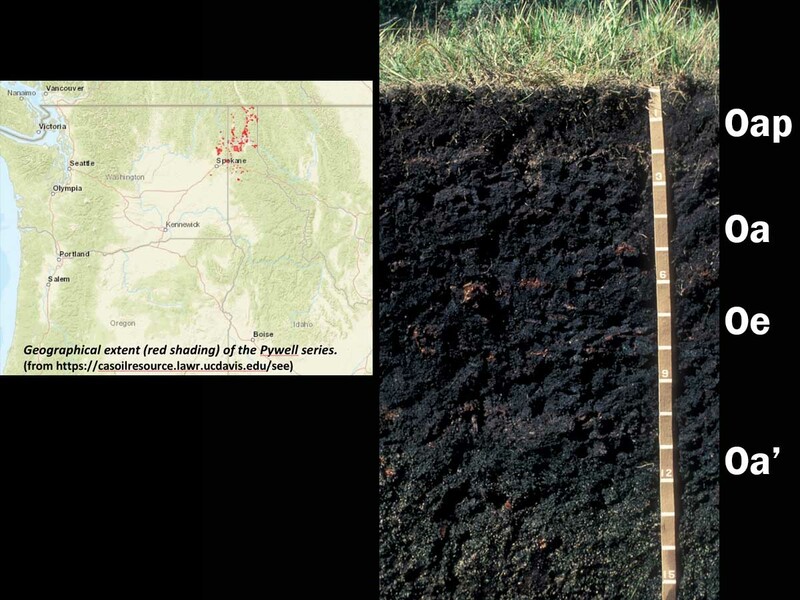 Histosols (from Greek histos, "tissue") are soils that are composed mainly of organic materials. 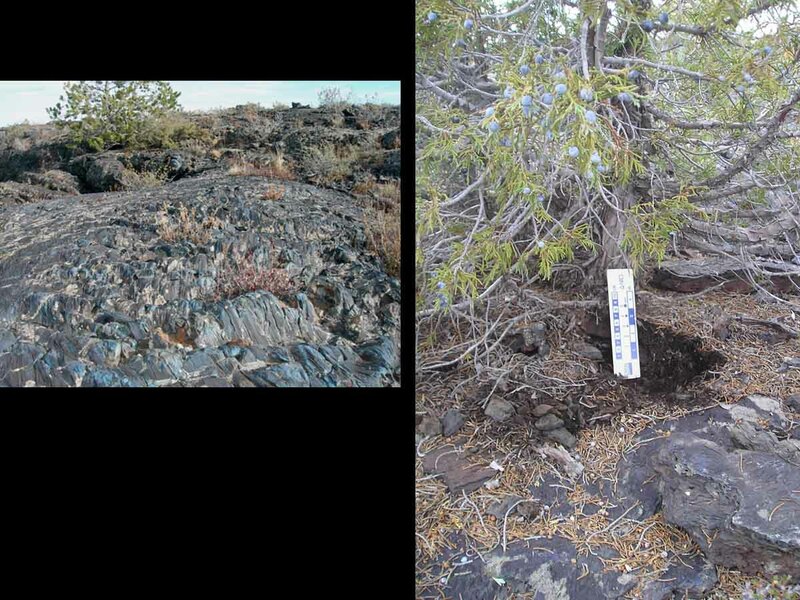 They contain at least 20-30 percent organic matter by weight and are more than 40 cm thick. 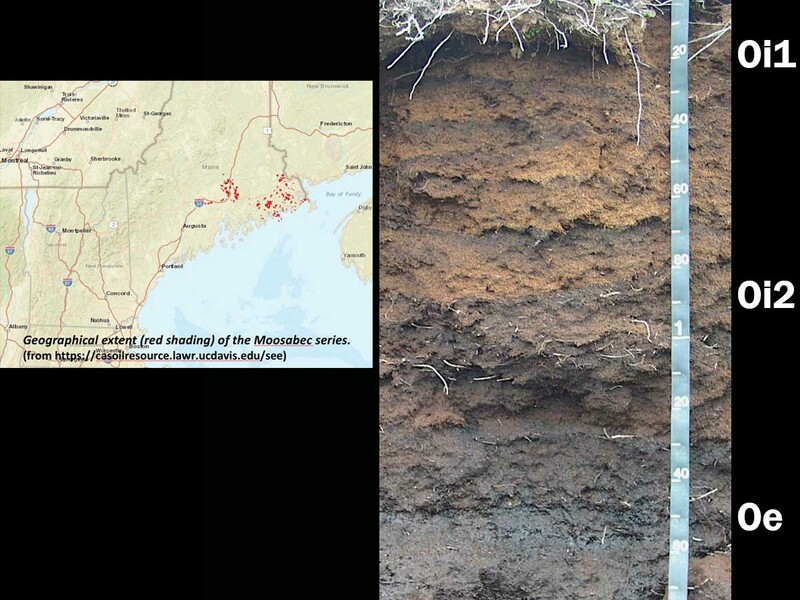 Bulk densities are quite low, often less than 0.3 g cm3. 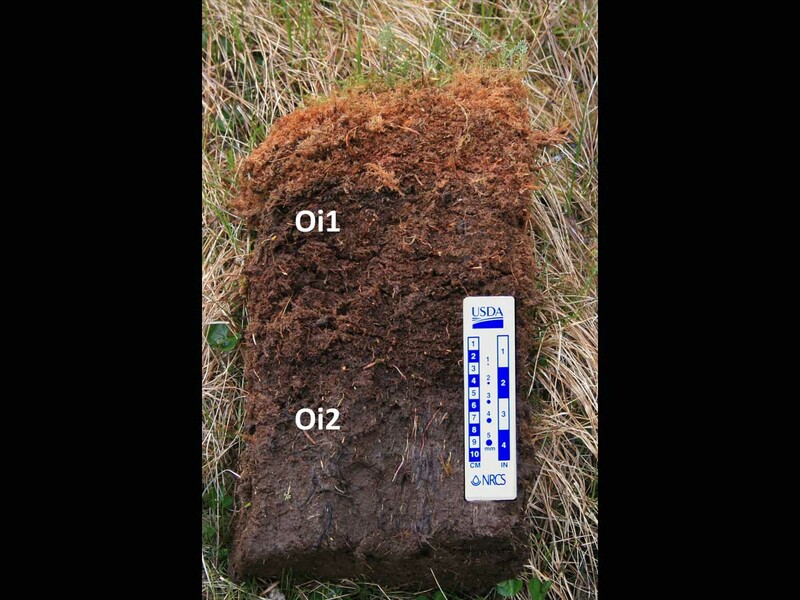 They are often referred to as peats and mucks and have physical properties that restrict their use for engineering purposes. 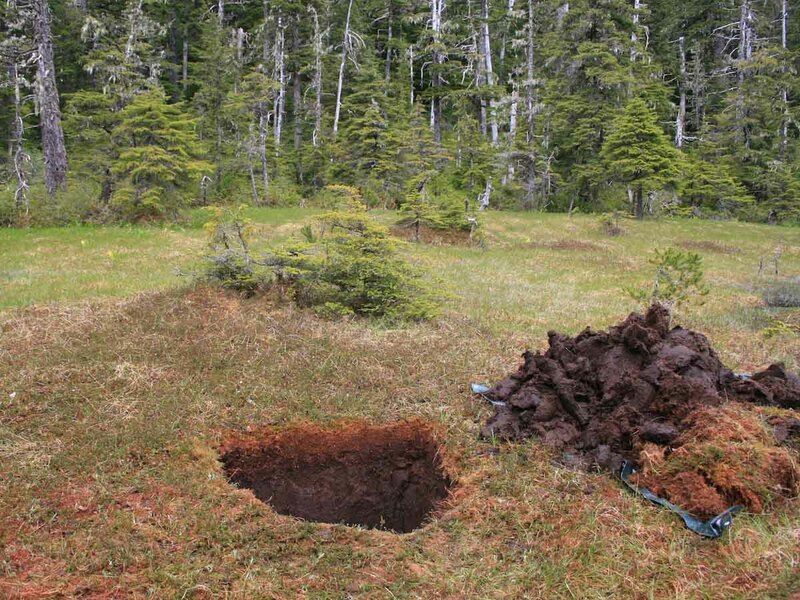 These include low weight-bearing capacity and subsidence when drained. 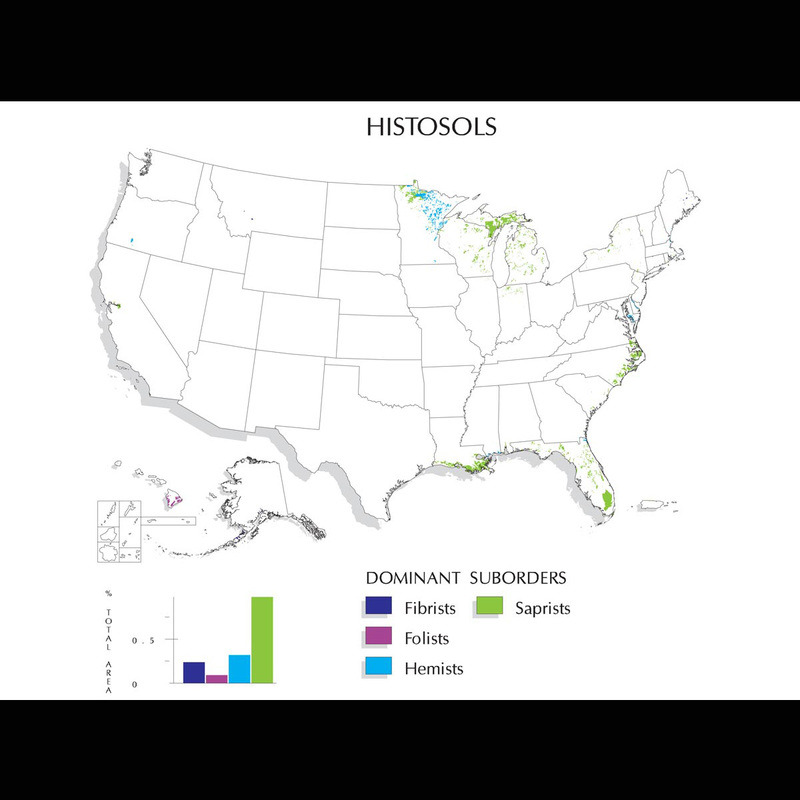 Histosols are divided into five suborders: Folists, Wassists, Fibrists, Saprists and Hemists. 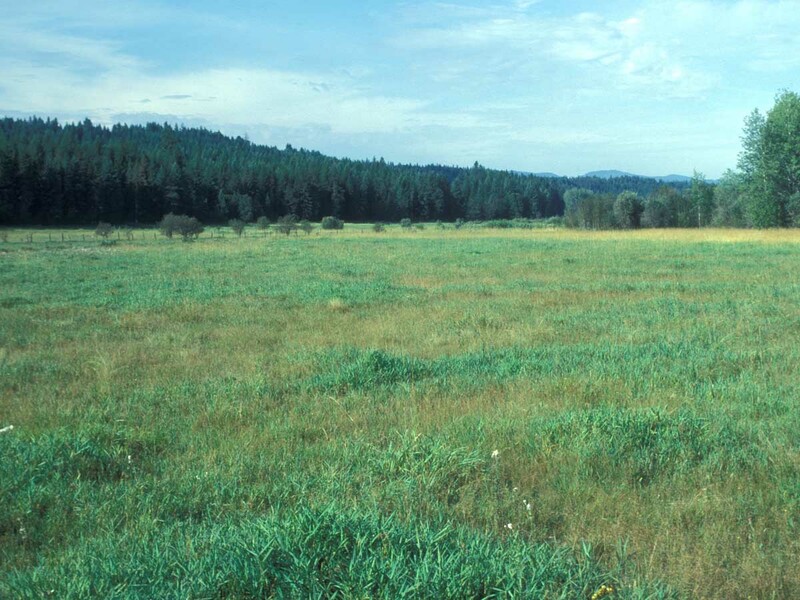 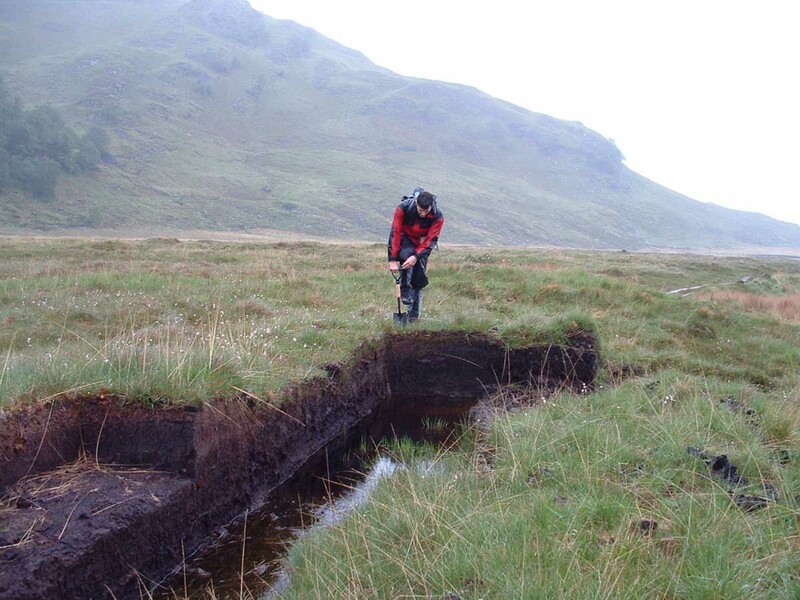 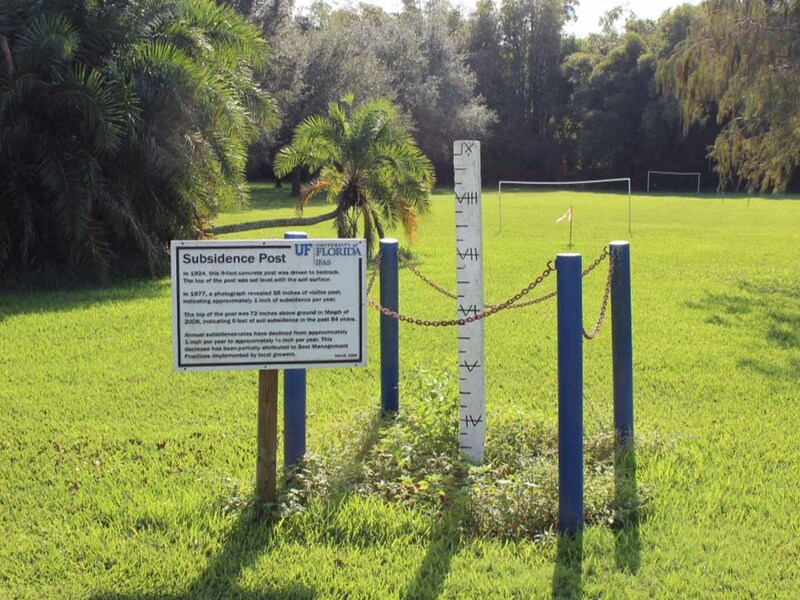 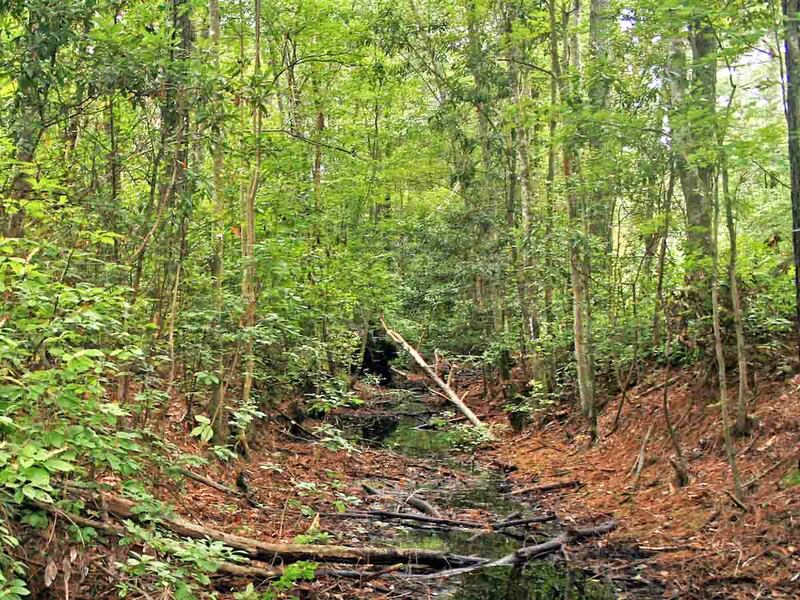 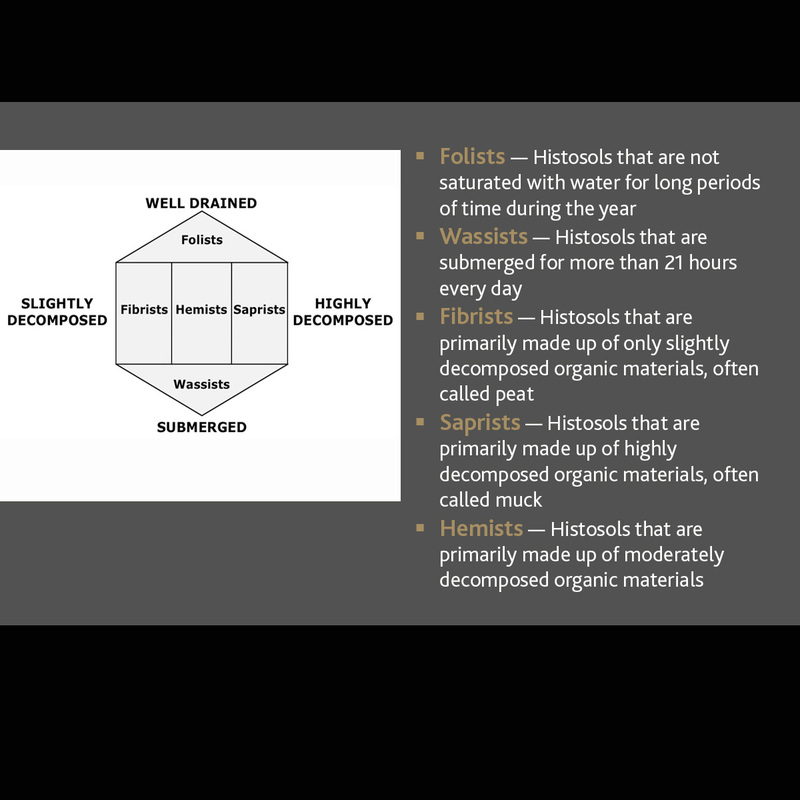 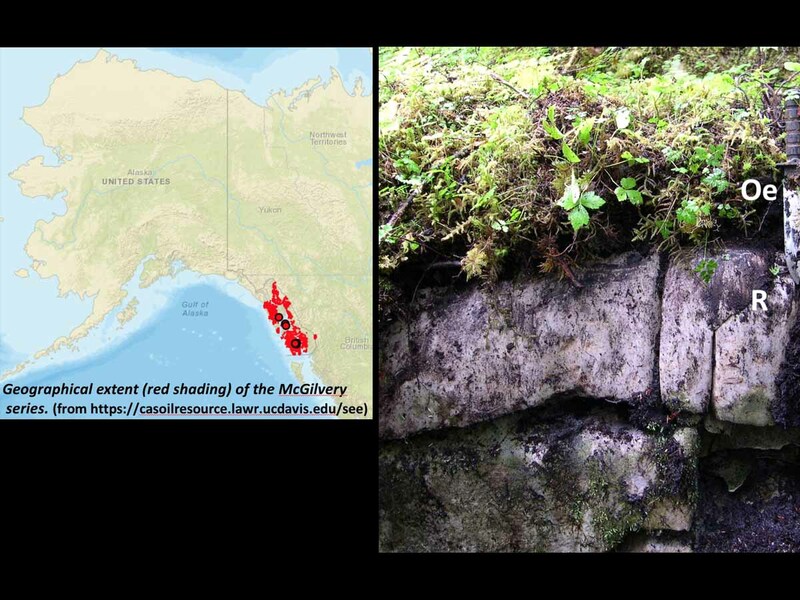 Most Histosols form in settings such as wetlands where restricted drainage inhibits the decomposition of plant and animal remains, allowing these organic materials to accumulate over time. 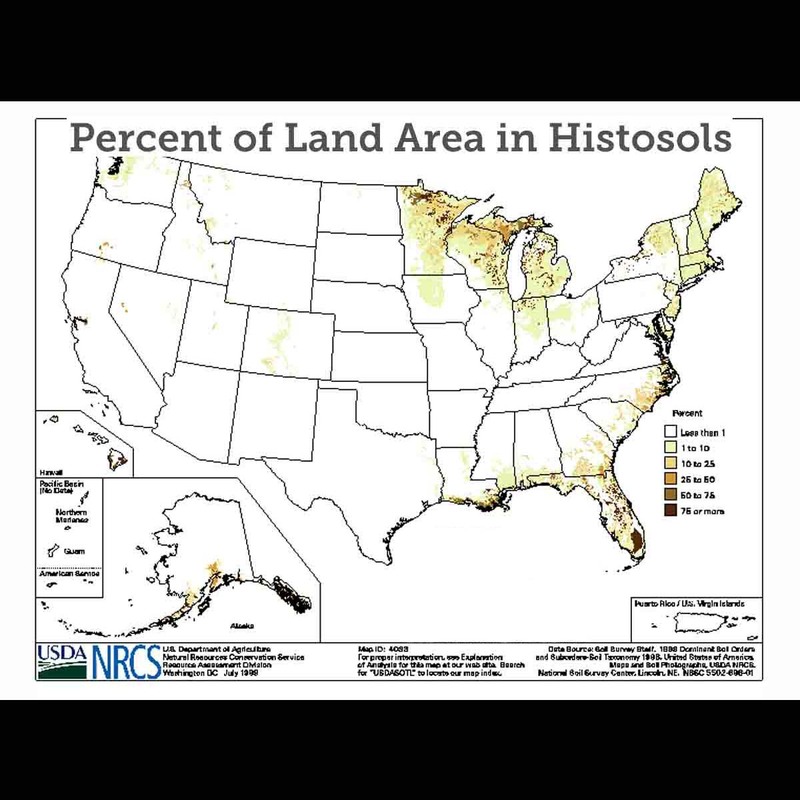 As a result, Histosols are ecologically important because of the large quantities of carbon they contain. 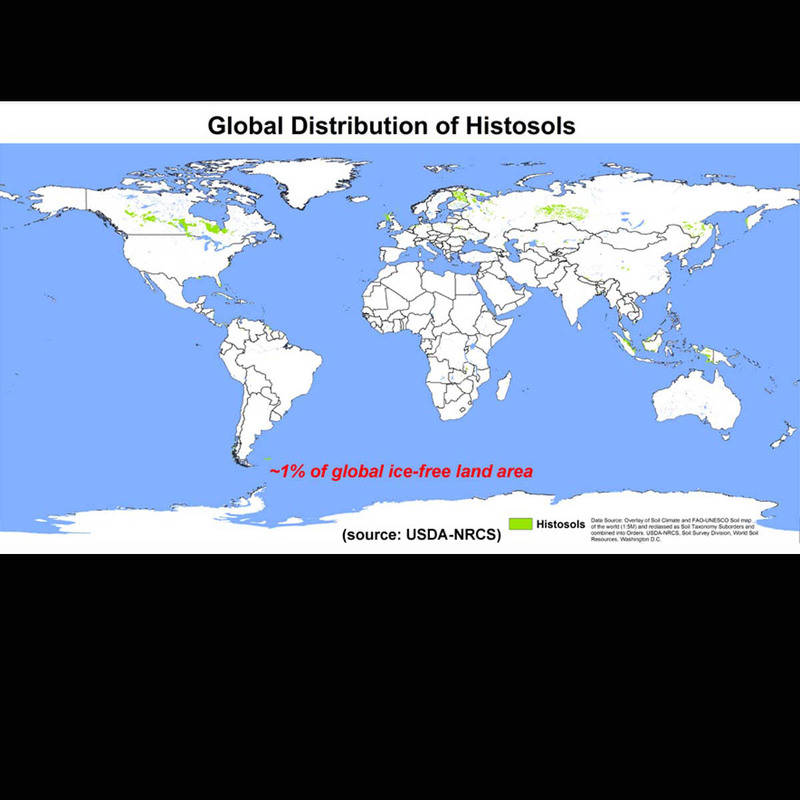 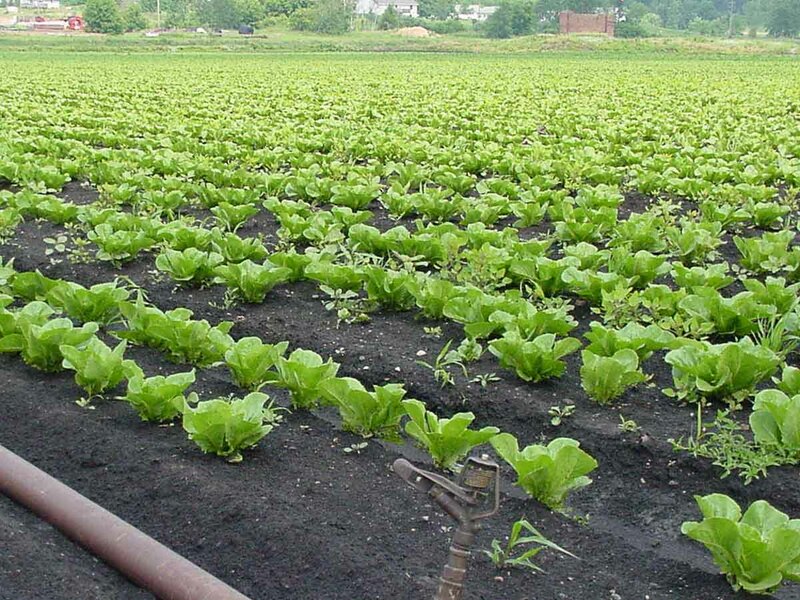 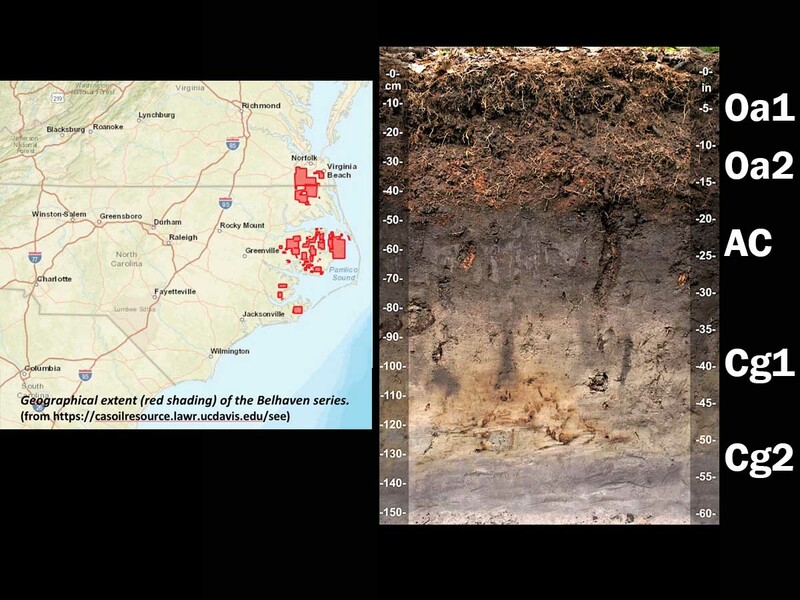 These soils occupy approximately 1.2 percent of the ice-free land area globally and approximately 1.6 percent of the U.S.